Kicking off a citywide Montgomery boycott and other effects to end the bus segregation was Rosa Parks, a Civil Rights Activist. Along with the help of the NAACP, left the city with no choice but to lift the law on bus segregation in Montgomery, Alabama. Montgomery City Code required all public transportation to be segregated, but in order to do so, bus drivers were required to separate black and white passengers by assigning seats. This was accomplished by drawing a line in the middle of the bus, and blacks were required to sit in the back of the bus. In boarding the bus, African-American passengers had to get on at the front, pay their bus fare and then get off the bus and enter at the back door. When the seats were filled at the front of the bus, the bus driver would move the sign back, and black passengers were required to give up their seats if necessary. On December 1, 1955, Rosa Parks boarded the bus, paid her far, and took her set within the first couple of rows in the designated section of the bus for “colored” passengers. As the bus began to fill with white passengers, the bus driver noticed several white passengers standing in the aisles and stopped the bus to move the sign back. In doing so, the driver asked the black passengers to give up their seats, three of the passengers complied, but Rosa Parks didn’t, and the driver called for police. On the morning of December 5, a group of African-American leaders (Montgomery Improvement Association) came together at Mt. Zion to discuss a strategy for the boycott, and Dr. Martin Luther King Jr was elected minister of the Dexter Avenue Baptist Church. 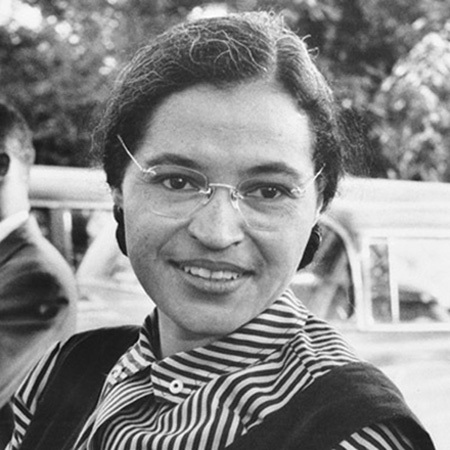 When Rosa Parks arrived at the courthouse for trial with her attorney Fred Gray, she was found guilty for violating a local ordinance and was fined $10 along with a $4 court fee. But Rosa Parks trial triggered the biggest event of the day with an estimated 40,000 African-American people showing up at the courthouse. 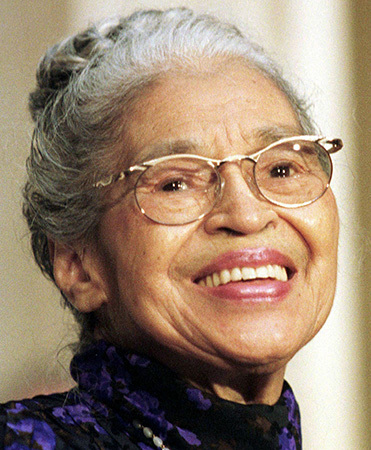 On October 24, 2005, at the age of 92, Rosa Parks died in her apartment in Detroit, Michigan. Rosa was placed between her husband and mother at Detroit’s Woodlawn Cemetery in the chapel’s mausoleum. Shortly after her death, the chapel was renamed the Rosa L. Parks Freedom Chapel.